Farrar, Straus and Giroux (BYR), 9780374306311, 40pp. Kate Narita is a writer and fourth-grade teacher. She earned her undergraduate degree and master's in education from the University of Wisconsin-Madison, and an MFA in writing for children from Simmons College. She is the author of 100 Bugs! 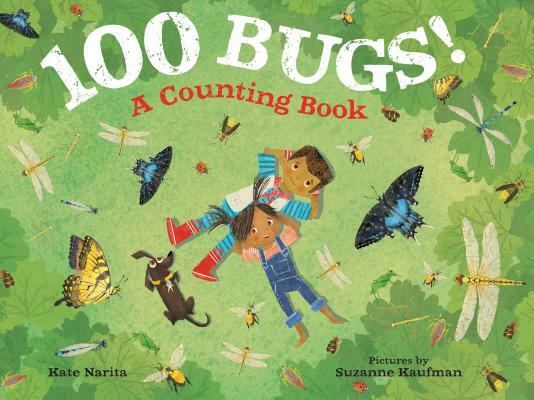 A Counting Book, illustrated by Suzanne Kaufman. She lives, writes, and hikes on a small mountain in central Massachusetts with her husband, two sons, and dog. Suzanne Kaufman is the illustrator of Samanthasaurus Rex, written by B. B. Mandell; Naughty Claudine Christmas, written by Patrick Jennings; 100 Bugs!, written by Kate Narita; and the author and illustrator of I Love Monkey and It's Confiscated. She lives in Seattle with her family.